I have to admit that this week I was struggling to find a property on the market that is VKH but having scoured several counties I finally hit upon this handsome fella in the Blackdown Hills AONB, midway between Chard and Axminster. 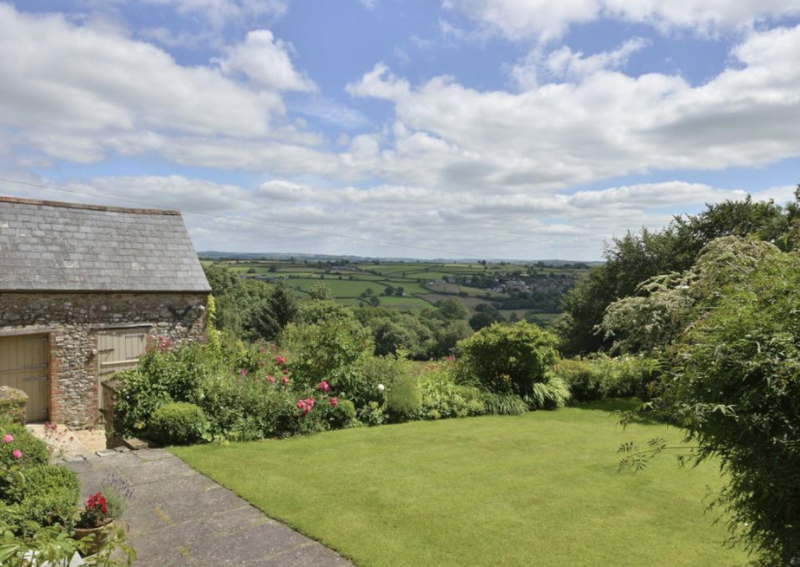 Dating from the late nineteenth century, Ransomes Farm occupies a slightly elevated spot with fantastic southerly views over the Devon countryside. It is quite breathtaking and makes me wonder why on earth anyone would want to sell this place! I do love a bit of symmetry in a property so was intrigued to explore further and, yes, it had me at the flagstone reception hall. The decor throughout is spot on - elegant and harmonious in shades of pale green and blue, with warm neutrals to balance it out. I think walking in through this door at the end of a tough day would make everything alright. Actually, it wouldn't even have had to have been a tough day. Coming home to this would instantly relieve even the tiniest bit of anxiety. In fact (and yes, I am aware that I'm gushing a bit), just looking at the pictures is giving me a huge sense of calm. I don't even mind the fact that there aren't any beams and the ceilings have spotlights. I'm too busy admiring the windows and those fabulous shutters. The living room is a lesson in how to do the country style while keeping it sophisticated. There's nothing twee about this. I would perhaps add a touch more colour - maybe a bit more muted green - but otherwise it's a real turnkey proposition. Again, in the kitchen, the decor has a relaxed country feel but manages to still look quite grown up. I wouldn't have a clue what to do with that massive aga but it looks fantastic! Upstairs in the bedrooms the easy elegance continues. You can probably guess what I love most about this room! Yep, if I was buying this place I'd definitely be asking the owners to leave the pink chaise! 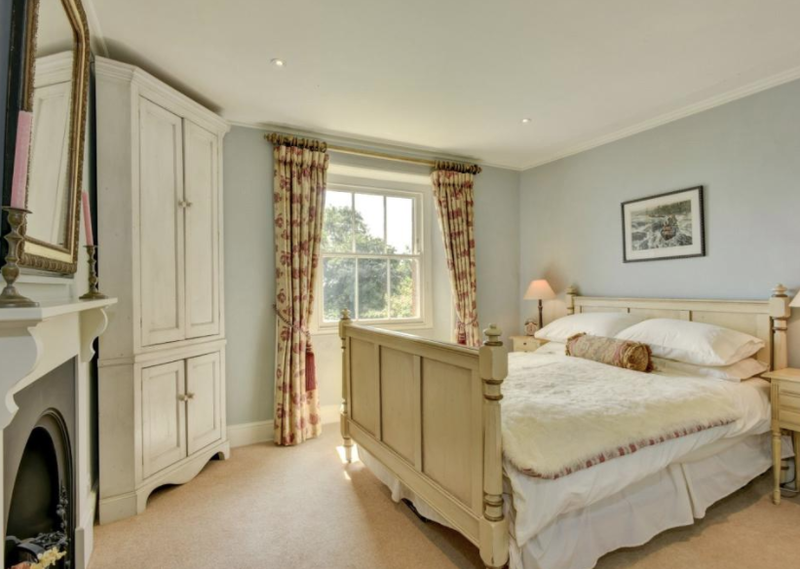 All the rooms have such amazing light, largely thanks to the southerly aspect and the restoration has been done with meticulous attention to detail. Of the six bedrooms, four are en-suite so this could even make a fabulous B&B if you were willing to share it with strangers. Outside there are a variety of outbuildings including stables. 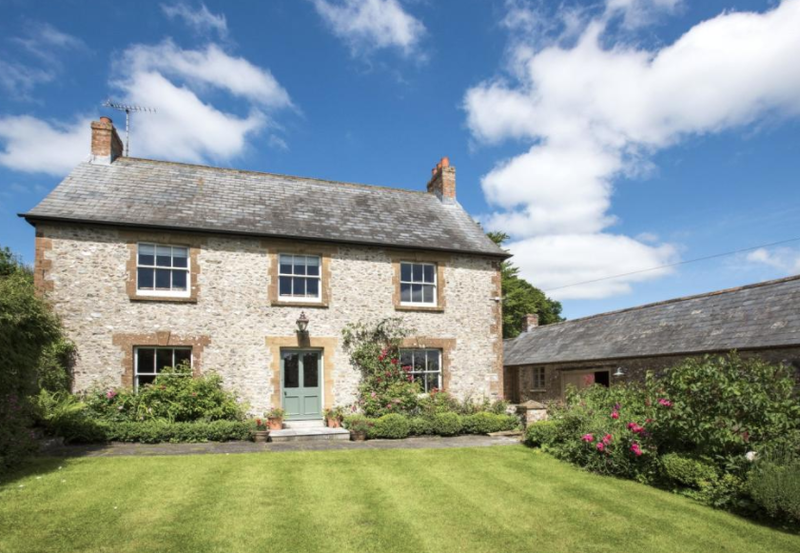 The property sits in just over five and a half acres and comes with three enclosures so could be perfect for someone wanting an equestrian based lifestyle (me!). Overall I think this place ticks pretty much every box and is possibly one of the most perfect properties I've come across right down to the colour of the front door. Ransomes Farm is for sale for £1.45m through Jackson Stops estate agents.